This is no joke - have an evening laughing your socks off, rolling in the isles and end up in stitches! 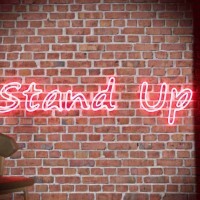 A comedy club night is hilarious fun and available in hundreds of locations. Buy a comedy club entrance on its own, or let us build an even more exciting package including a host of other daytime, evening and night time activities. Some other great activities to consider to complete your fun weekend or event are VIP night club entrance or VIP Booth Hire & Club Entry, casino evenings, restaurant bookings, exciting day time activities and much more. Leave the details to us and have the event of your life.